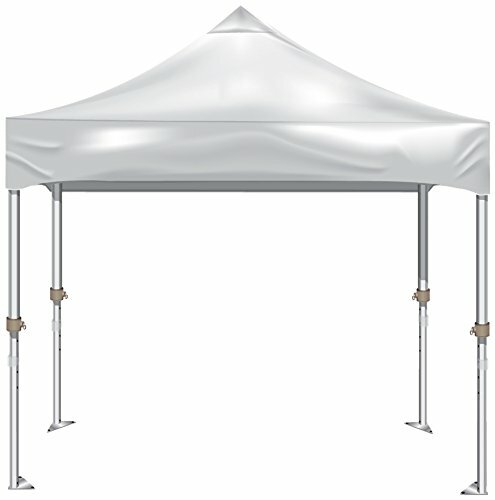 This is a great tent that is strong and durable enough for commercial use. It has a high tensile strength aluminum powder coated frame with gliding fiber-reinforced Dynidiom joint fittings that won't rub or bend. This frame is 40% stronger and 25% lighter than other steel units. The frame adjusts to 5 different heights to adapt to uneven ground and challenging tent sites. The one-piece frame sets up in less than 30 seconds with 2 people. 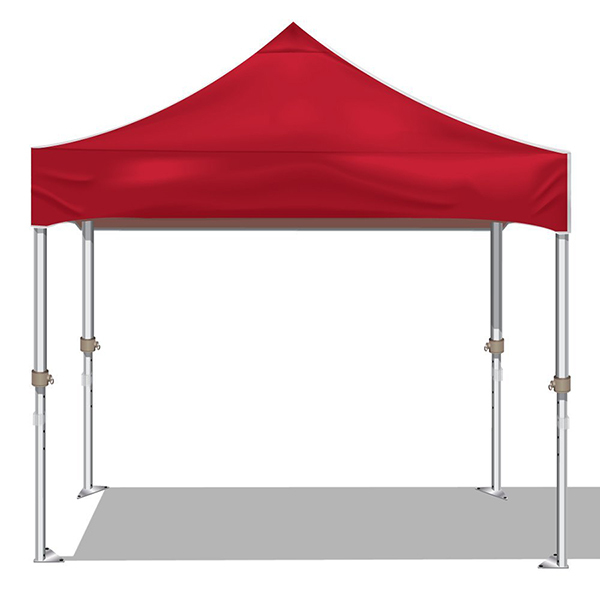 The polyester canopy is water resistant, fire retardant, UV protected, and comes in 10 bold colors. The Sworf cut top adds tension to help secure the frame and prevents water from settling. 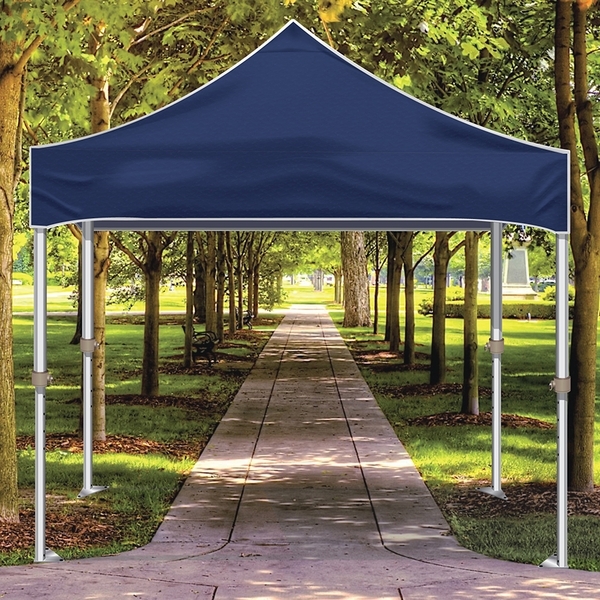 Extended canopy flaps add strength and stability in windy weather. 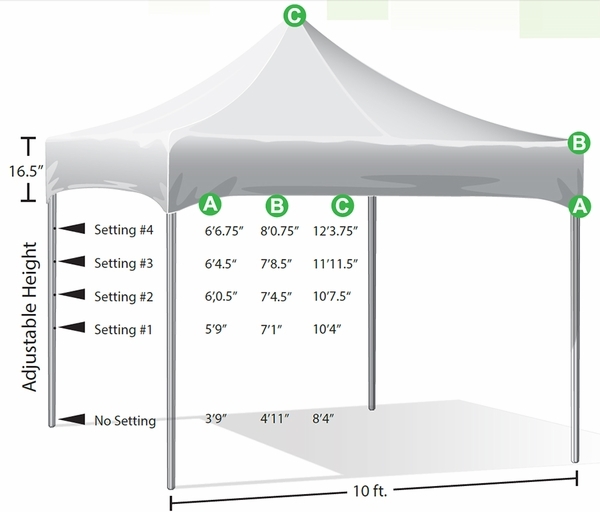 The tent package includes the frame, canopy, 12" field spikes and carrying bag. A 1-year manufacturer's warranty applies.